This past summer, I decided I wanted to spend more time in Detroit doing some urban gardening. I called up the volunteer coordinator of the Greening of Detroit to find out about volunteer days and she sent me to the Oakland Community Garden on the north end of the city. There I met Jerry Hebron, who immediately inspired me into getting involved in the growing Detroit urban gardening movement. Jerry is the Executive Director of the North End Christian Community Development Corporation, a non-profit dedicated to youth development and the cultural and economic revitalization of North end area of Detroit. The primary activity of the organization is in the garden, which has recently been extended in to a newly built greenhouse. 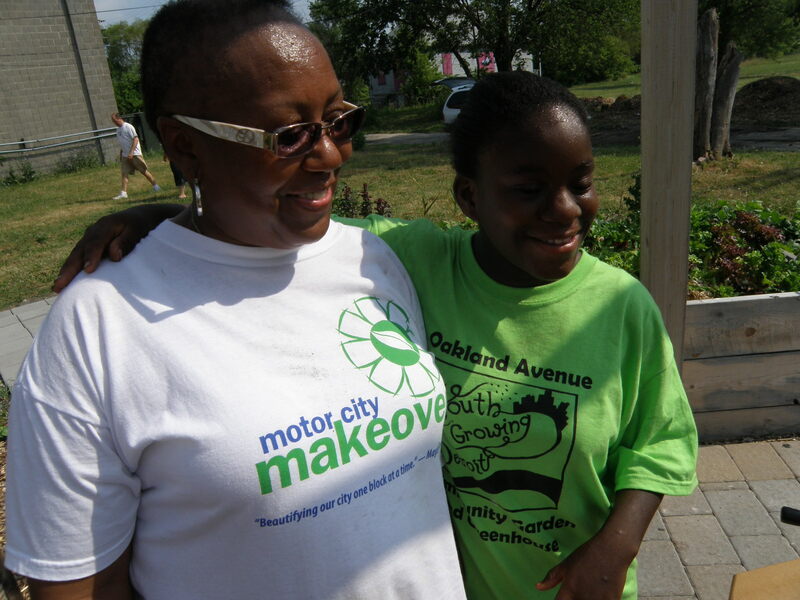 Jerry started the Oakland Community Garden in 2009 with the support of the Greening of Detroit. After spending most of her life working as a real estate agent in Detroit, she retired to start the garden. She employs the homeless and people who just got out of prison to help them get some work experience, build up their resumes, and make some money. She also gives work opportunities to children from the community, who get to earn some money by gardening and then selling what they help to harvest in the local markets. Any community member is free to come take anything they want from the garden. Jerry encourages them to come get involved and help in the garden, but it is not a requirement for getting food. Access to food is one of the main problems in Detroit, and Jerry wants to help change that. People need access to cheap, healthy food and the best way to do that is by creating a strong local food system. In June, Jerry worked with a couple other CDC’s to organize an eco-fair at the Vanguard CDC. Jerry and the Greening of Detroit both had tables and were handing out seeds, compost, and containers and were instructing people on growing vegetables and herbs at their own homes. People were extraordinarily responsive and were very excited to go home and plant their seeds. Most of them said they knew nothing at all about gardening and never would have thought of doing this without the information provided at the fair. Meanwhile, the Healing Support Network was there giving healthy cooking demonstrations and handing out food samples. Community members who came to the eco fair left not only with full stomachs, but with a collection of new, useful information and the opportunity to begin a more economically and environmentally sustainable and healthy lifestyle. 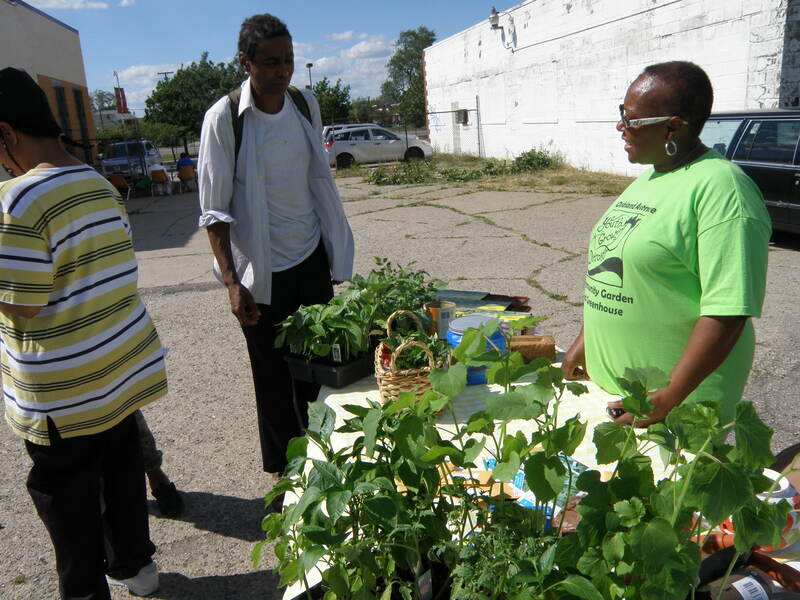 The eco-fair was one example of many efforts made by Jerry to help people help themselves and to make Detroit a healthier, more sustainable city. She wants to see the city flourish and improve the quality of life for the people who live there. 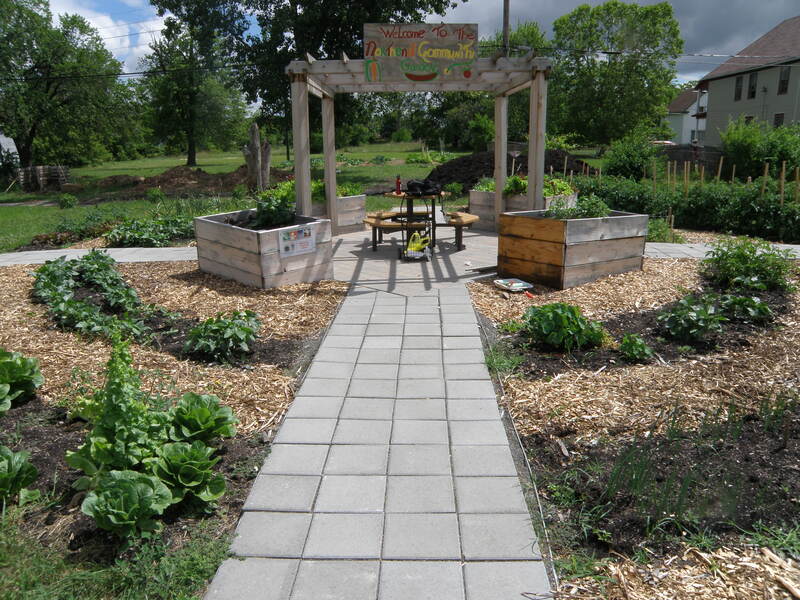 This entry was posted in Food Transparency (the issues) and tagged community garden, detroit, greening of detroit, lindsay partridge, North End Christian Community Development Corporation, oakland community garden, Real Time Farms, volunteer. Bookmark the permalink.